While the layout of the new model is very similar to the previous version, the all-metal design looks significantly better than the previous white plastic. Connectivity has also been improved; this has two USB 3.1 Type-C ports, two USB 3.0 Type-A ports, a combo headphone/microphone jack, and a microSD card reader. The laptop is also charged via the Type-C port. 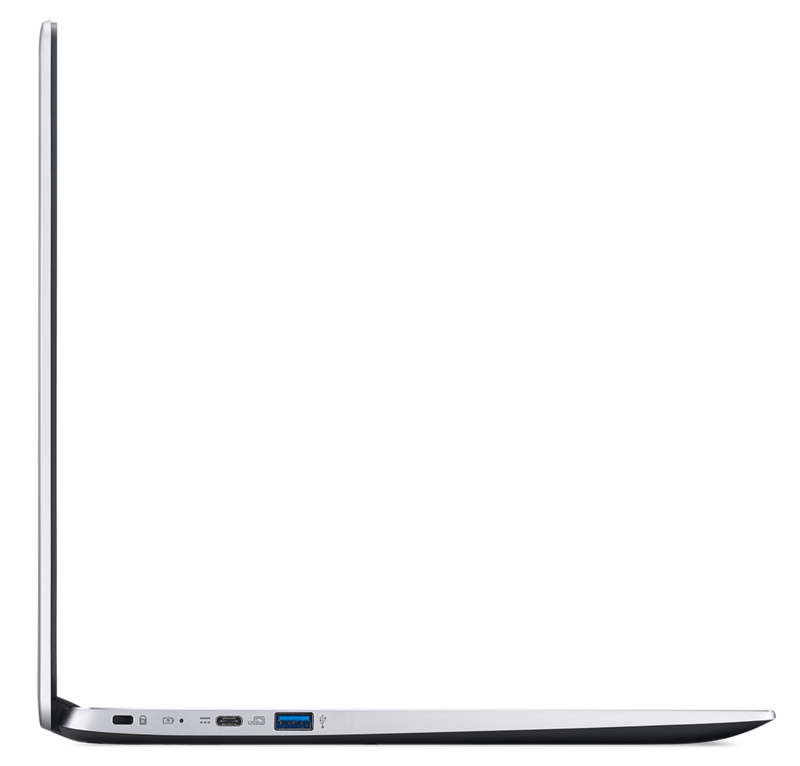 As you can see in the table above, the specifications for this Chromebook vary greatly depending on what model you buy. The CB515-1HT unit will have a touchscreen display, while the CB515-1H won't. Chrome OS will likely perform fine on any combination of these specs, but I would have liked to see a Core m3 or m5 option. But on the bright side, Acer says all models will ship with support for the Play Store. 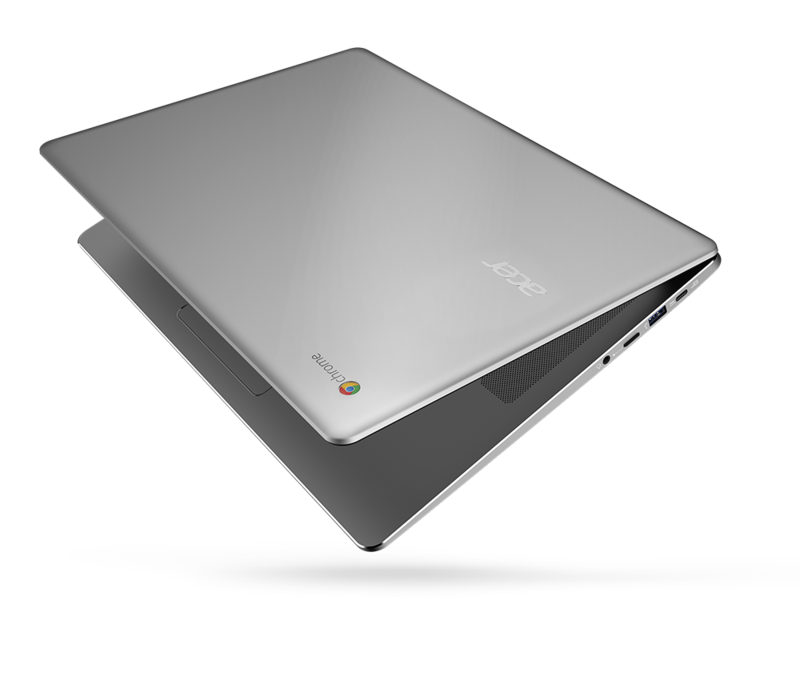 The Acer Chromebook 15 will start at €499 in Europe, and $399 in the United States. The specifications on the base model are unknown, but it probably uses the Celeron N3350 chip and 4GB of RAM. I'm not sure I would pay $400 for a laptop with what is essentially a netbook processor, but at least it looks nice. 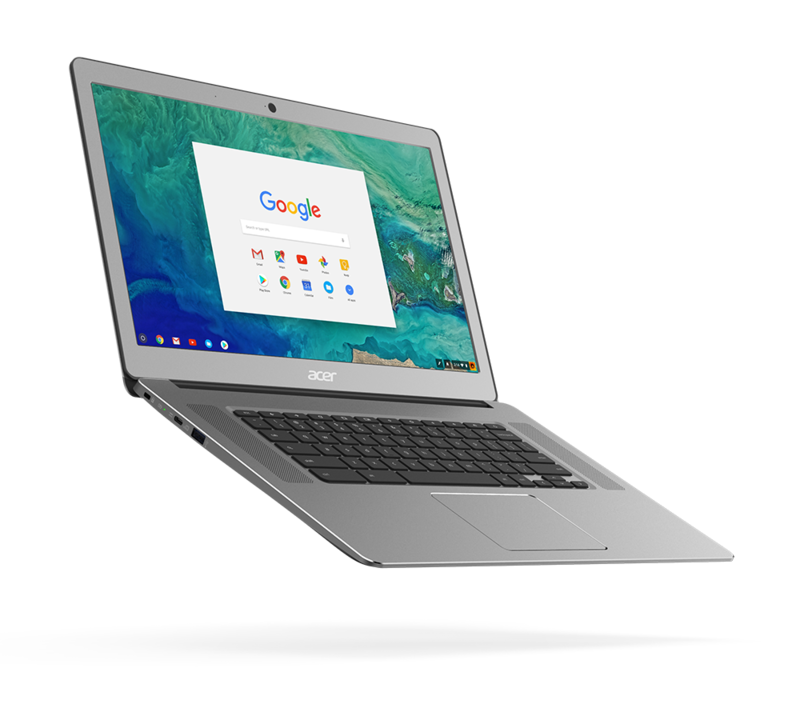 Acer, the world’s leading Chromebook brand3, announced a new model in its award winning Chromebook 15 line – the only Chromebook in the industry with a 15.6-inch display – with a new stylish aluminum design and long battery life of up to 12 hours2. 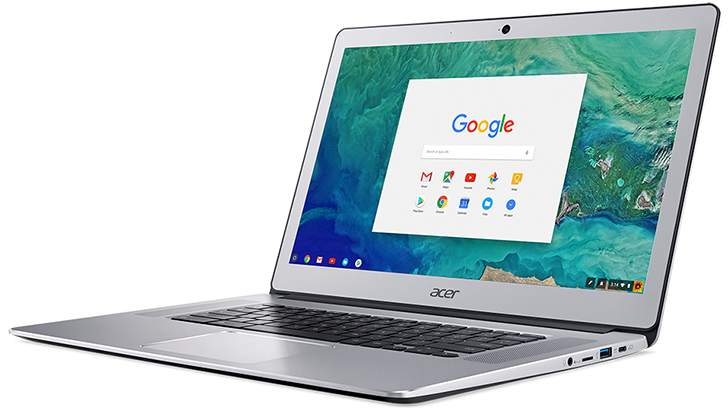 In addition to having a large Full HD IPS1 display available in touch-screen and non-touch configurations, the new Acer Chromebook 15 (CB515-1H/1HT) delivers solid performance and up to 12 hours2 of battery life for all-day media consumption, game play, and app enjoyment. The Chromebook 15 will support Android apps via the Google Play™ Store when it is launched, so customers will have access to more than two million Android apps to let them have more fun, be entertained, stay connected and remain connected. The vibrant 15.6-inch display lets users enjoy websites, video and games, and also increases productivity by providing more room for multiple tabs and apps. The Full HD display has a 1920 x 1080 resolution that ensures sharp visuals. To complement the large display, the Acer Chromebook 15 has two full-sized upward-facing speakers that support high-definition audio and deliver enhanced volume and audio range. The full-sized keyboard and large touchpad are comfortable to use and give customers greater freedom when navigating. The HD webcam has a wide 88-degree field of view to accommodate more participants in video chats at home and work. Also, audio and video are clear and crisp thanks to high dynamic range imaging and the built-in microphone. 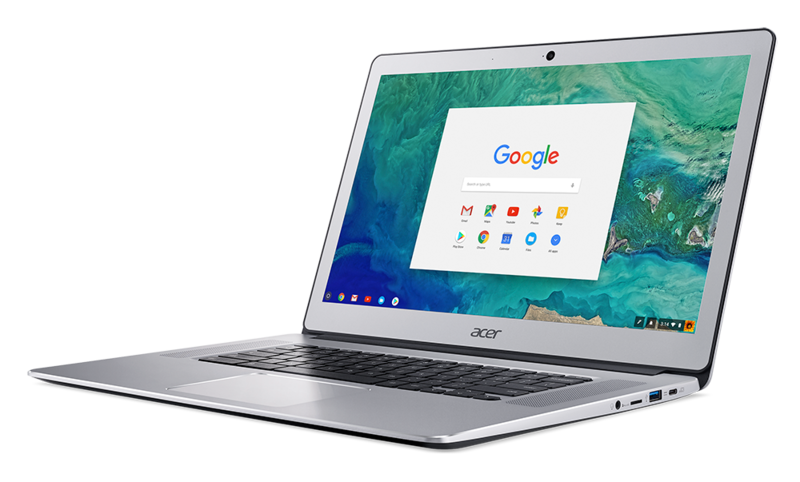 The new Acer Chromebook 15 delivers industry-leading battery life of up to 12 hours2, so it can be used for a full day of work or school plus streaming and fun. The fanless design allows it to run quietly, making it great for shared spaces such as in a family room, library or coffee shop. The latest dual-core Intel® Celeron® and quad-core Intel® Pentium® processors deliver great performance for apps and the web. Models in the line will be available with 32 GB or 64 GB of eMMC storage as well as 4 GB or 8 GB of RAM. The Chromebook 15’s new design features an aluminum top cover and palm rest, giving it a stylish and modern design that is comfortable to touch and type on, and is also thinner and lighter than previous generations. It features a backlit keyboard allowing greater usability and weighs 1.72 kg (3.79 pounds) while measuring 378 W x 256 D x 18.9 H mm (14.88 W x 10.08 D x 0.74 H inches). The Acer Chromebook 15 keeps customers connected with fast Intel® Wireless-AC (802.11ac) wireless featuring 2x2 MIMO technology. Customers have the fastest way to transfer data, stream video and connect to an external display with the system’s two USB 3.1 Gen 1 Type-C ports. The USB Type-C adapter can also charge the unit. Also, customers can connect peripherals to the Chromebook 15 via Bluetooth 4.2, two USB 3.0, an HDMI port and a combo headphone/speaker jack. The SD card reader supports up to 128 GB SDXC for transferring and saving files. The Acer Chromebook 15 supports multiple user sign-on to keep data safe. Family members can share the system and log onto their unique accounts to ensure their projects, Gmail accounts and information are kept way from prying eyes, even if the Chromebook is damaged or stolen. Storage on Google Drive4 protects files, documents, and photos safely in the cloud, and ensures that the most current version is always available. 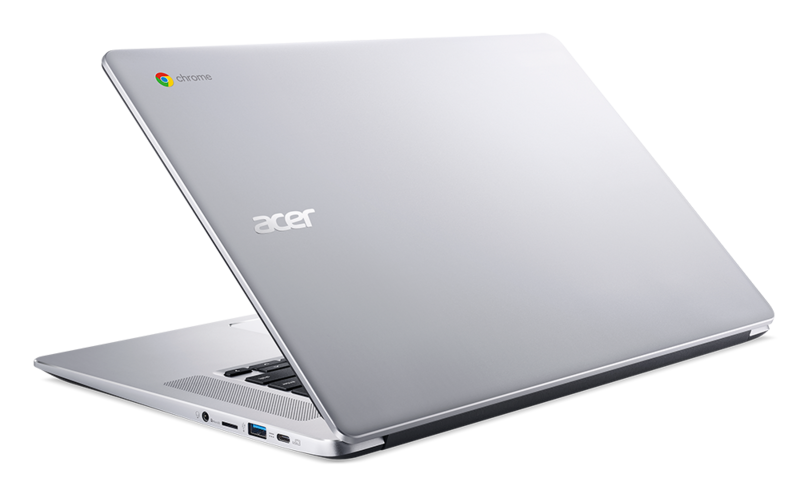 The Acer Chromebook 15 will be available with either a touch screen display (CB515-1HT) or non-touch display (CB515-1H). It will be available in EMEA in October starting at €499. It will also be available in North America in October starting at $399, including the United States, where it will be offered at Best Buy and the Acer Store. The Acer Chromebook 15 was unveiled today at the [email protected] press event at IFA in Germany, where the company announced a range of new devices and solutions. For more information, visit acer.com/nextatacer. offers subject to change without notice or obligation and may not be available through all sales channels. Prices listed are manufacturer suggested retail prices and may vary by location. Applicable sales tax extra. 2. Market Share: Final PCs, Ultramobiles and Mobile Phones, All Countries, 2Q17 Update, 17 August 2017. Acer Group was ranked #1 for shipment of UMT device group with Chrome OS in the 2016 global market.